Yasuko Fukuoka is an award-winning Japanese cookery book writer and journalist. 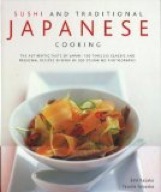 News : new edition of "Japanese Food and Cooking" is published. 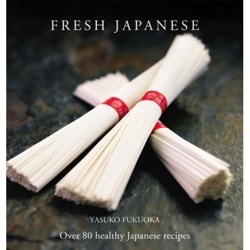 Yasuko's latest book, "Fresh Japanese"
Yasuko has been a member of the Guild of Food Writers. She just loves eating anything fresh and flavoursome and passionately introducing old and new Japanese recipes to the World outside Japan. Alongside developing and writing Japanese recipes, she cooks and styles Japanese food for photography.